The Man Behind the Dodge City War Luke Short’s troubles brought about one of the American West’s most famous photographs. 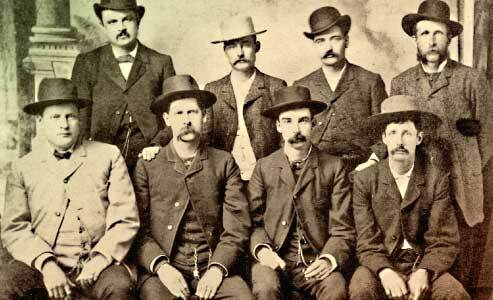 In the iconic photograph, a group of stone-faced men stare stolidly back at the camera, giving no indication that theirs was a celebratory pose, an image of the “Dodge City Peace Commission” taken to mark the victory of one group of gamblers and hard cases over another. Standing in the rear, the men to either side of him standing much taller, is the diminutive Luke Short. It was for his sake that the so-called “Dodge City War” occurred in the first place, but for some reason, he never quite achieved the prominence of two other men in the group—Wyatt Earp and Bat Masterson. Short had been a cowboy, scouted during the Indian Wars and evolved into a well-known sporting man, but he has remained in the shadows of others, familiar only to aficionados of the Old West. Short first met Earp, William H. Harris and Masterson, in that order, in Tombstone, Arizona, after arriving there in November 1880. Harris was well acquainted with Earp from Earp’s time in Dodge City, Kansas. 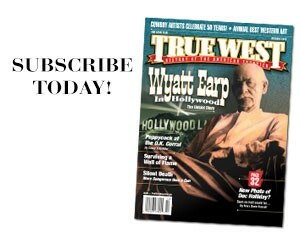 Based on their previous friendship, Harris, who ran the gambling concession at Tombstone’s Oriental Saloon, convinced the owners to engage Earp as a faro dealer. Short and Masterson worked for the Oriental as “lookouts” hired to protect the game. In fact, Short was a lookout at a faro game when he became involved in his first celebrated gunfight, on February 25, 1881 (see p. 40). 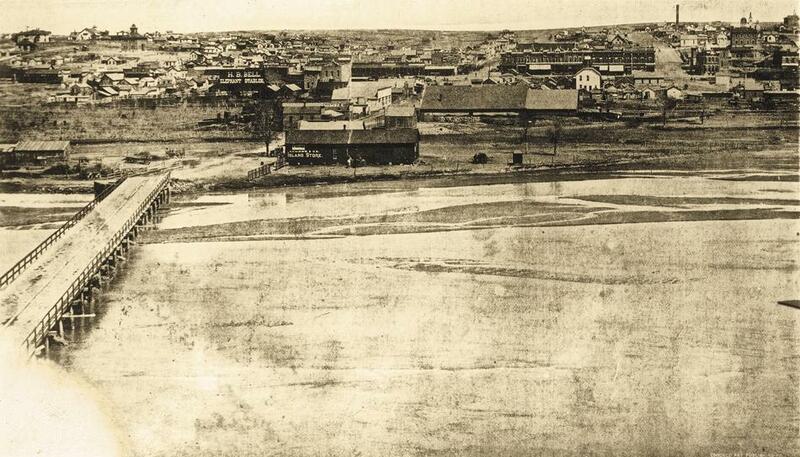 The first time Short stepped foot in Dodge City was when he moved to the Kansas burg in April 1881. 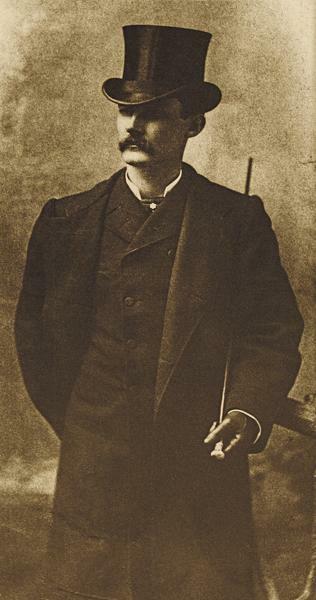 By that time, Harris had sold out his interest in Tombstone and provided Short with employment as a faro dealer at the Long Branch Saloon in Dodge City that he owned with partner Chalk Beeson. On February 6, 1883, Beeson sold his share of the Long Branch to Short. The month after Short and Harris formed their partnership, Harris entered the mayoral race against Lawrence E. Deger. He lost to Deger, by a vote of 143 to 214, on April 3. On April 28, officers arrested three women employed by Short at the Long Branch, in accordance with a new ordinance to suppress vice that Mayor Deger had authorized. The “expression to their feelings” turned out to be a gunfight between Luke Short and policeman Louis C. Hartman, later that evening. Short petitioned Gov. George Glick to intervene. Stressing he was “entirely innocent” of assault against Hartman, Short stated that after he had paid his $2,000 bond, he was arrested again, without stated charge. Then men led by Mayor Deger chased him out of jail and told him to leave and never return. Earp was too well known as far as Sheriff Hinkel was concerned. Within hours of Earp’s arrival, Hinkel sent a telegram to Gov. Glick, asking if he could send Adjutant Gen. Thomas Moonlight to Dodge City “tomorrow” with the power to organize a company of militia. Hinkel knew if Earp and his cronies were assembling to do harm to any Dodge City citizen, the sheriff would be helpless to stop them. Masterson proved to be a master at articulating his thoughts without resorting to the Colt revolver. The gunfighters who came to Dodge City to support Short had represented a real threat, but their formidable presence did not bring together the opposing factions; simple economics did. Adjutant Gen. Moonlight felt satisfied with the results: No fatalities. Not even a wounded warrior on either side. No one could now claim ignorance that, in the pursuit of the almighty dollar, the question of the degree of vice—whether or not prostitutes frequented gambling halls—was no longer so important. On June 9, the two factions had a final meeting. All those who had been chased out of town were back, with no fear of assassination or further trouble. At a new dance house just opened that Saturday night, the former enemies settled their differences, agreeing to stand by each other for the good of their trade. Standing in the photo, from left, were Harris, Short, Masterson and Petillon. Seated, from left, were Bassett, Earp, Michael Francis “Frank” McLean and Cornelius “Neil” Brown. Prints were made of the photo and given to each of the eight “Peace Commissioners,” as well as others who had supported Short. Editor Nicholas B. Klaine, of The Dodge City Times, took a swipe at Petillon, stating, “The distinguished bond extractor and champion pie eater, W.F. Petillon, appears in the Group.” The reference to Petillon being a “champion pie eater” does not point to him having won a contest at a country fair, but to his habit of scooping up slices of pie at various Dodge City saloons that had a “free lunch” counter. Although the Dodge City War was now over, Gov. Glick kept his promise to commission the militia for the town, just in case. 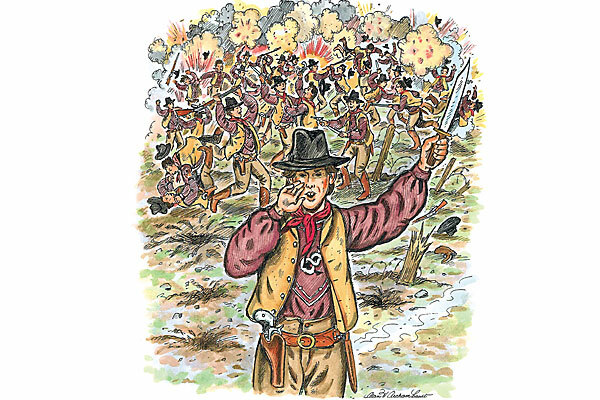 Appropriately named the “Glick Guards,” the company comprised supporters of both groups during the saloon war, including Harris, Petillon and Short. 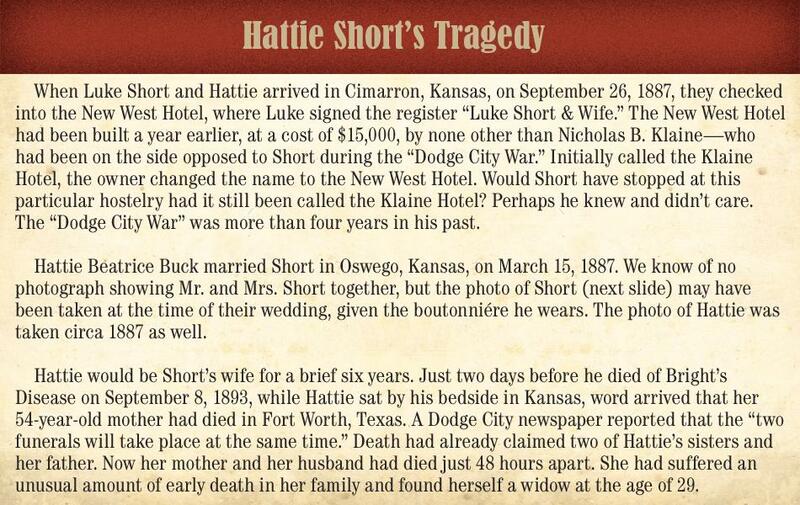 Yet Short was rapidly losing interest in Dodge City. He was often out of town, heading to Texas to explore opportunities in Dallas, San Antonio and Fort Worth. 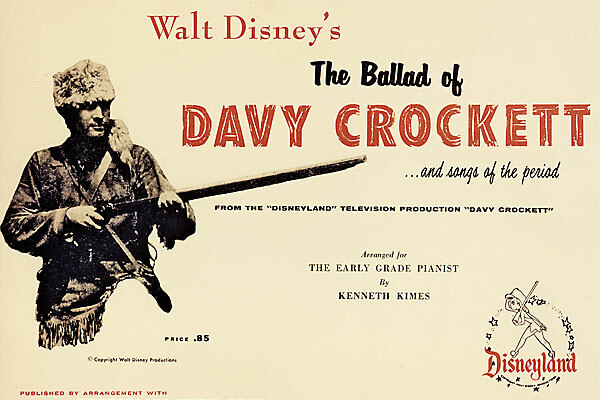 He returned to Dodge City to settle up his affairs. Both he and Harris sold the Long Branch to new owners in November. Klaine reported Short and Masterson’s departure on November 16 to Texas, in his signature style: “The authorities in Dallas and Ft. Worth are stirring up the gambling fraternity, and probably the ‘peace makers’ have gone there to ‘harmonize’ and adjust affairs. The gambling business is getting considerable ‘shaking up’ all over the country. The business of gambling is ‘shaking’ in Dodge. It is nearly ‘shook out’ entirely. 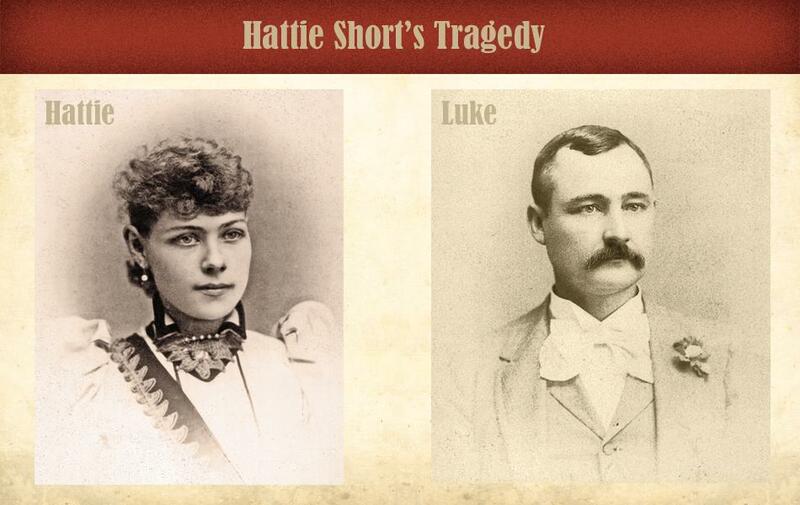 This edited excerpt is from The Notorious Luke Short: Sporting Man of the Wild West, by Jack DeMattos and Chuck Parsons and published this year by University of North Texas Press. DeMattos is the author of six books on Western gunfighters, including Mysterious Gunfighter: The Story of Dave Mather. Parsons is the author of Captain John R. Hughes and The Sutton-Taylor Feud, and coauthor of A Lawless Breed, a John Wesley Hardin biography. 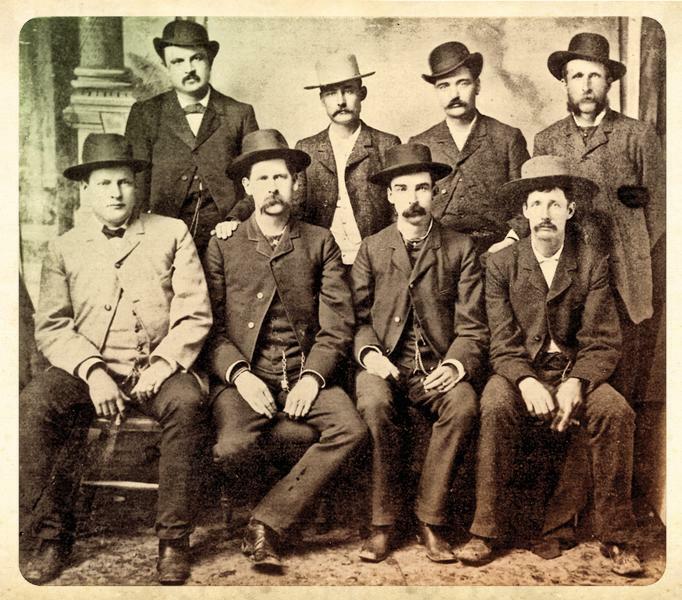 The “Dodge City Peace Commissioners,” photographed by Charles A. Conkling on June 10, 1883, include (standing, from left) William H. Harris, Luke L. Short, Bat Masterson, William F. Petillon (seated, from left) Charles E. Bassett, Wyatt Earp, Michael Francis “Frank” McLean and Cornelius “Neil” Brown. One of the earliest known bird’s-eye views of Dodge City, Kansas, taken in the spring of 1887, shows an entirely new Front Street in brick, rebuilt after the 1885 fires that destroyed buildings, including the Long Branch Saloon, which was never rebuilt. The bridge at left is the location of the original bridge the cowboys streamed across after coming up the trail in the 1870s. 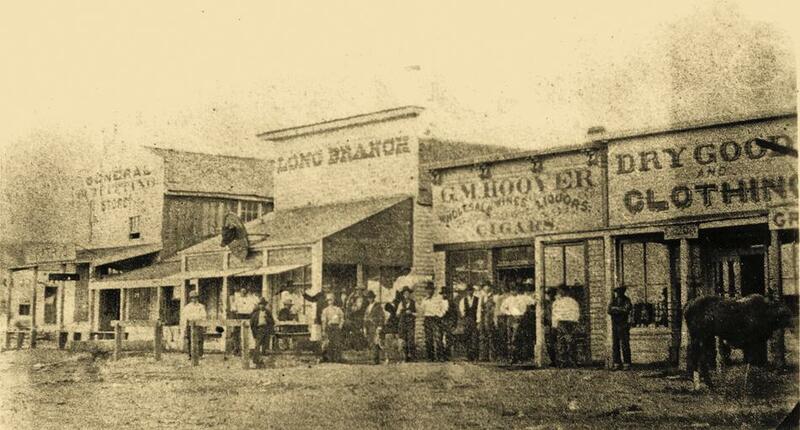 Front Street view of Luke Short’s famous Long Branch Saloon in Dodge City, Kansas, circa 1875. 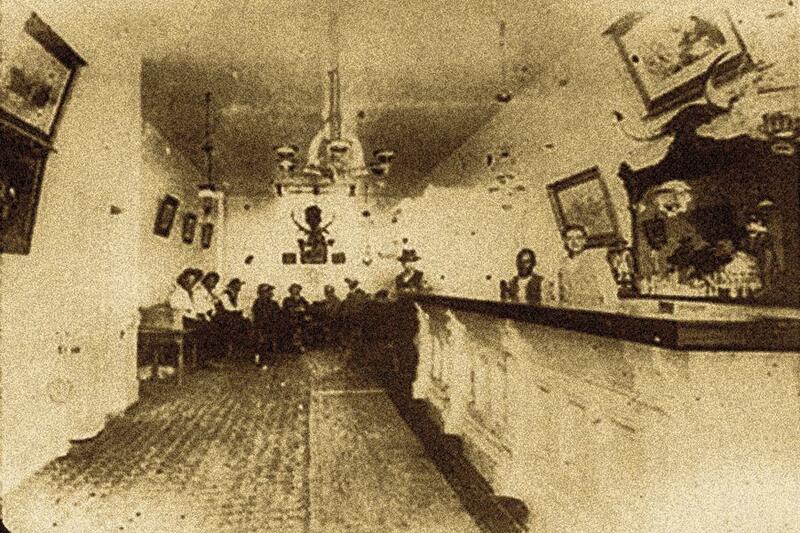 Monte and faro games were popular at saloons like Dodge City’s Long Branch Saloon (above). The longest-running television drama, Gunsmoke, adopted the name of Luke Short’s saloon for its 1870s saloon set in Dodge City. The city’s Boot Hill Museum features a replica of the saloon, with an 1881 Brunswick bar typical of the era. 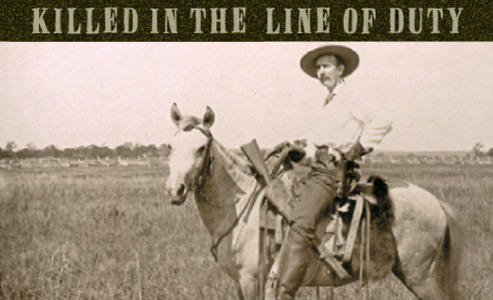 Killed in the Line of Duty The little-known Goingsnake Massacre reveals just how dangerous a killing field the Indian Territory was for the U.S. marshals. The Billy Buff War Will investigators ever cease digging up Billy the Kid?